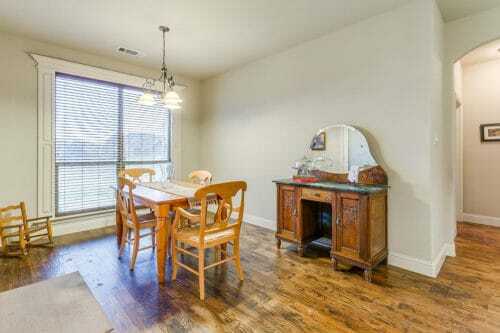 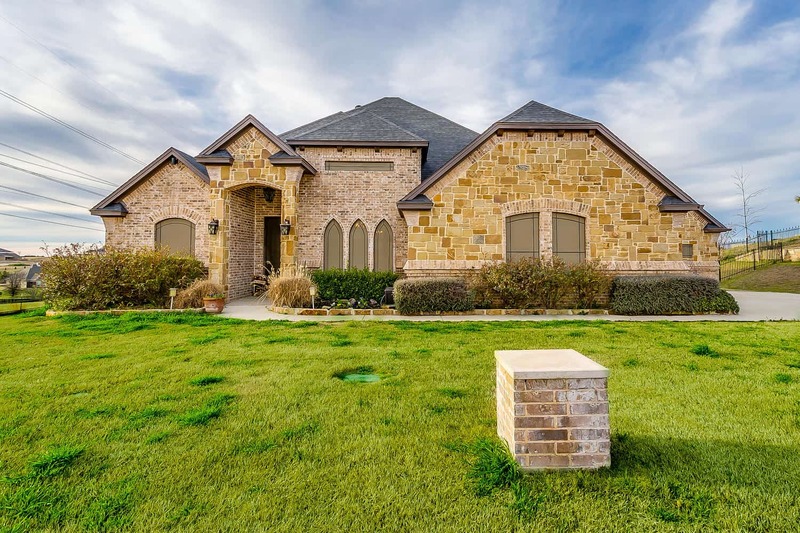 Welcome to 12624 Bella Vino Drive Fort Worth, TX 76126! 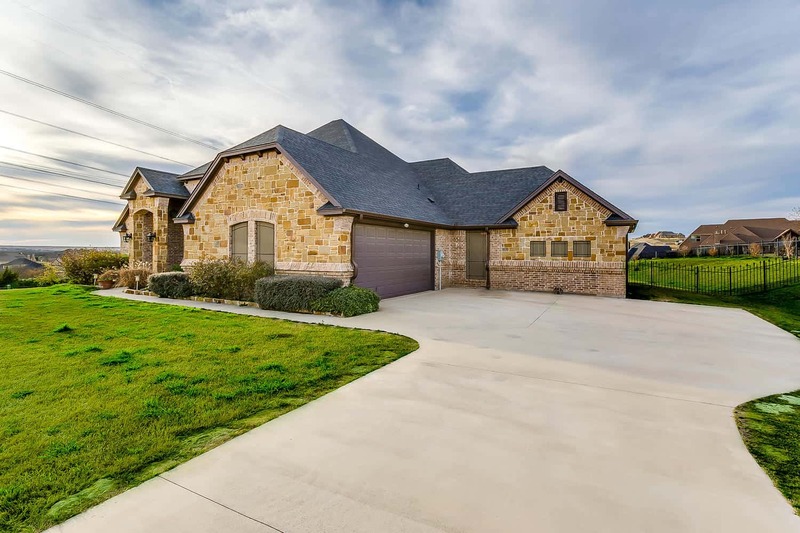 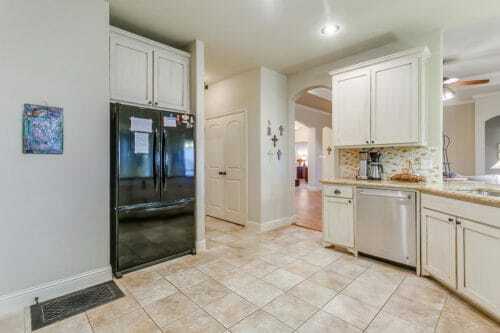 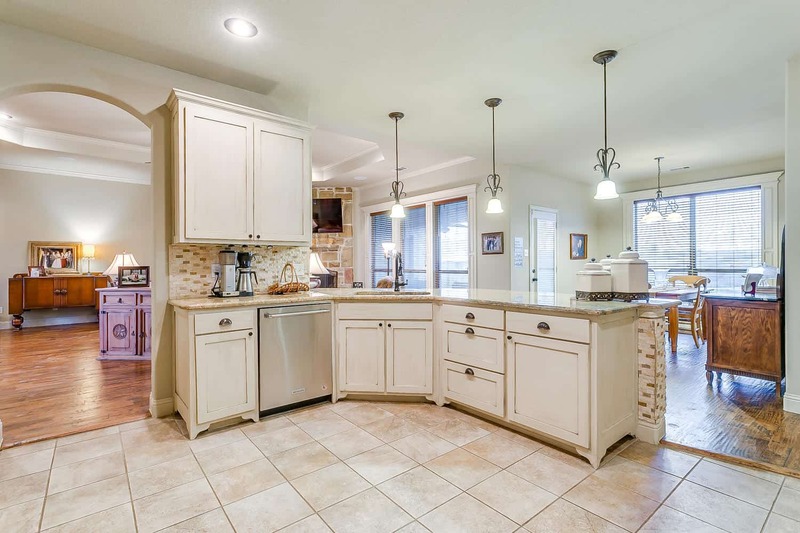 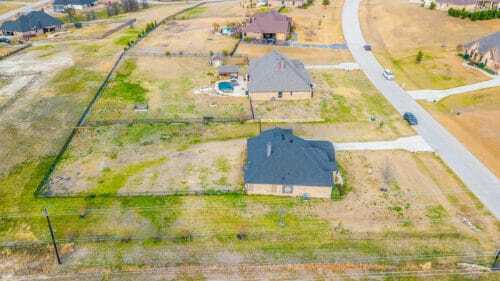 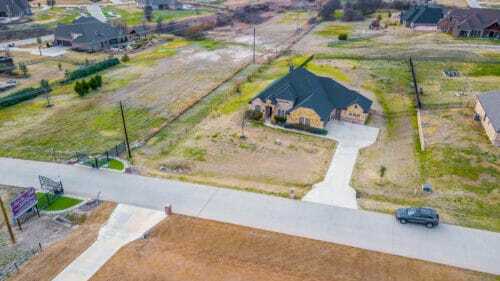 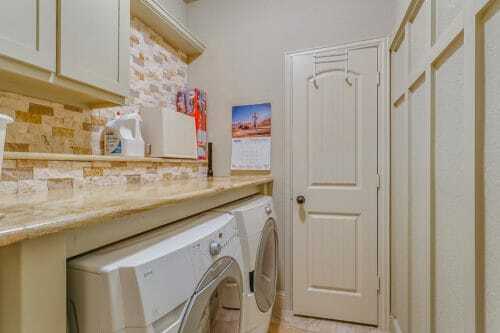 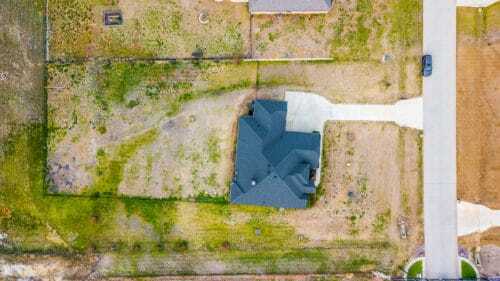 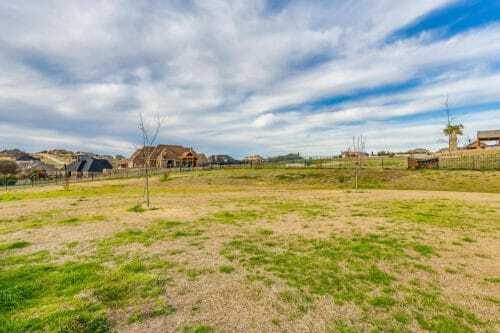 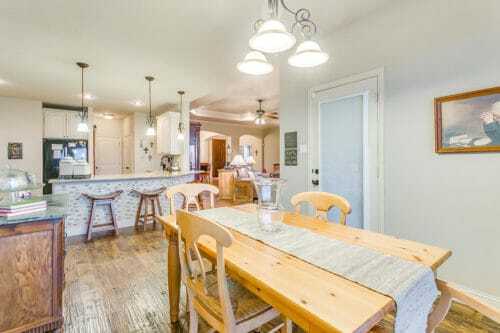 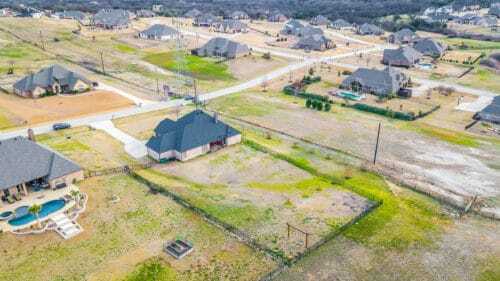 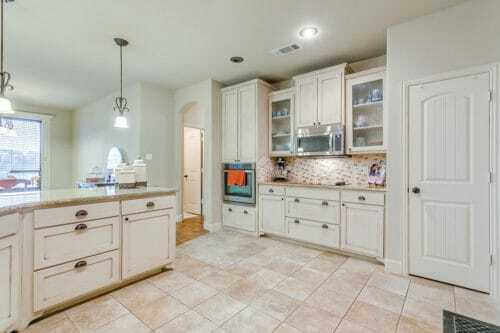 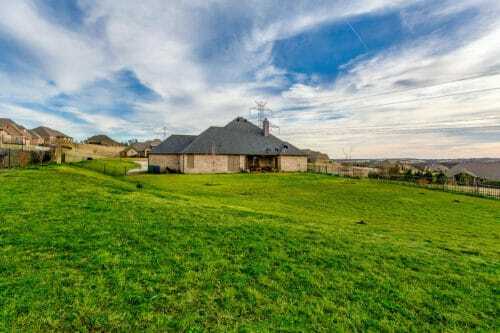 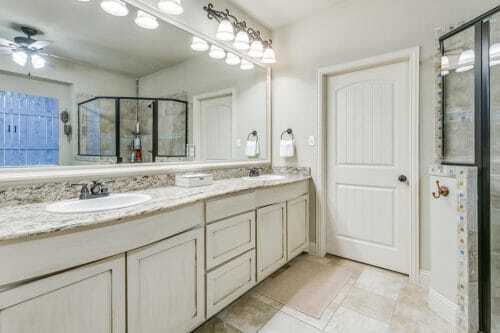 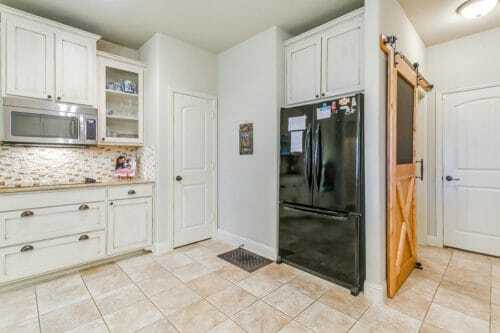 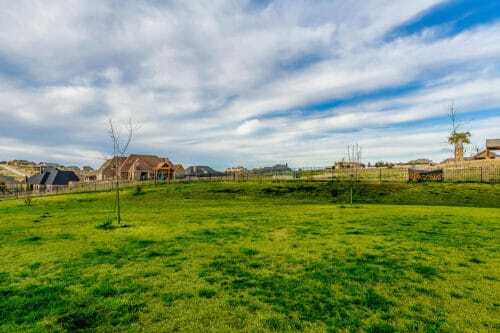 Beautiful ranch style home just over an acre in the gated subdivision of Bella Ranch within Aledo ISD. 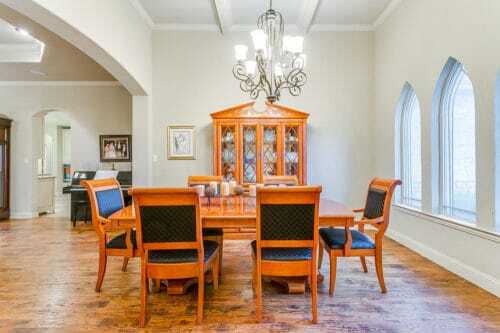 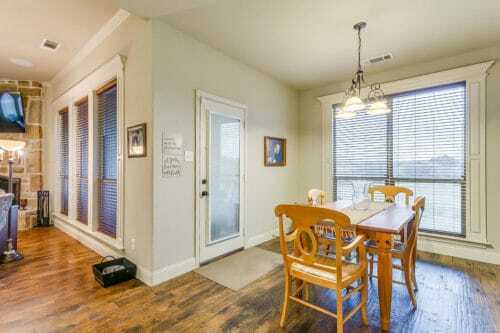 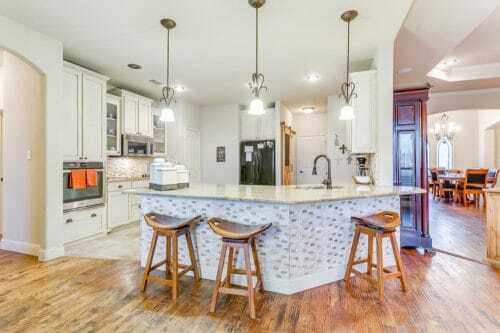 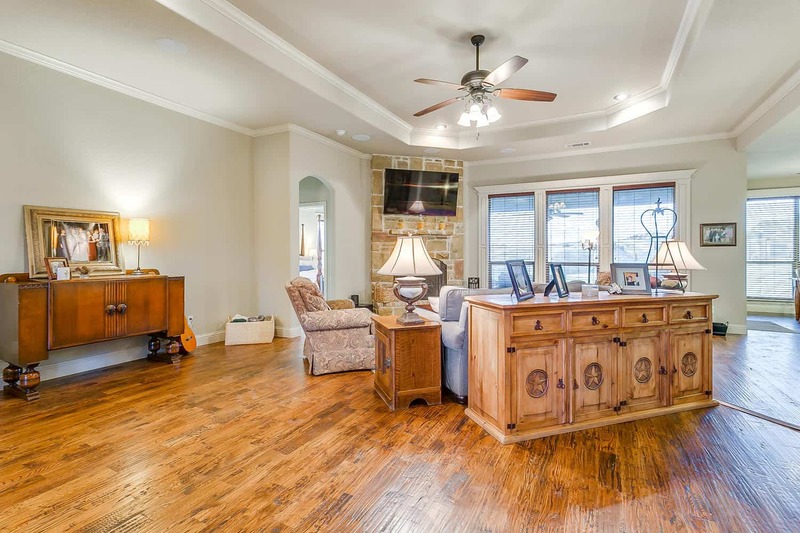 The open concept home has gleaming hardwood floors with plenty of room for entertaining. 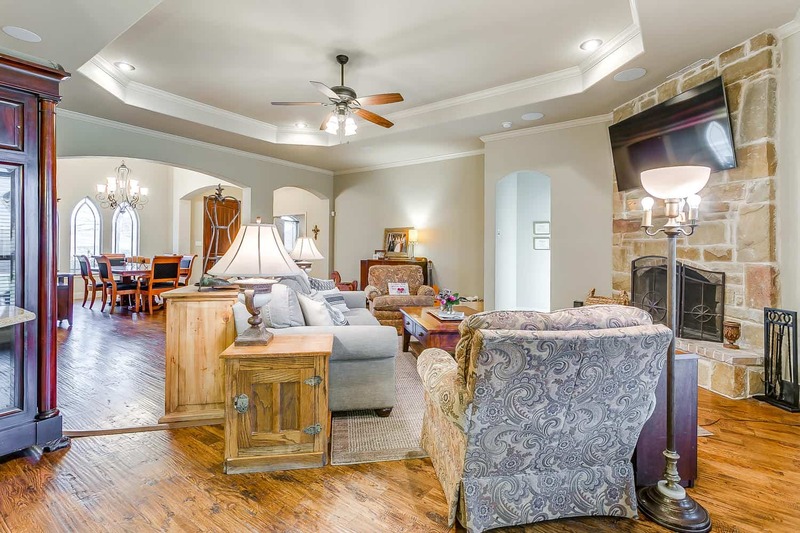 Spacious living room with Austin stone fireplace and a gourmet kitchen with antique style cabinetry and custom stonework. 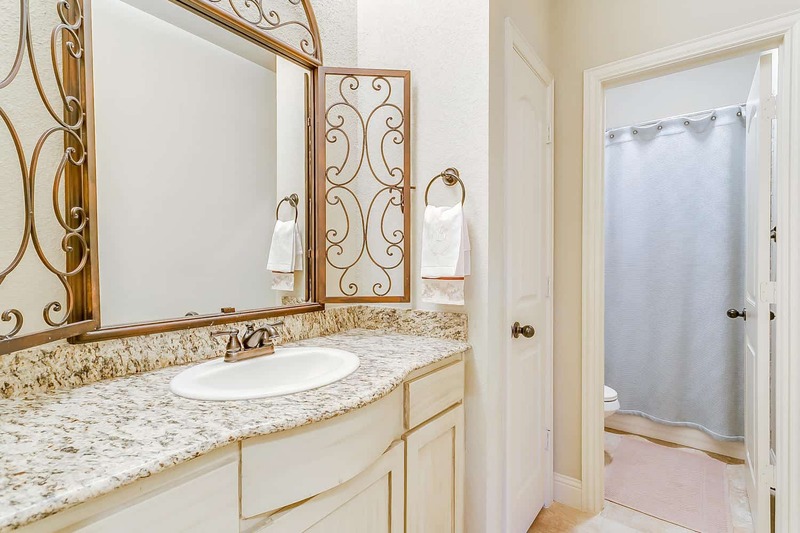 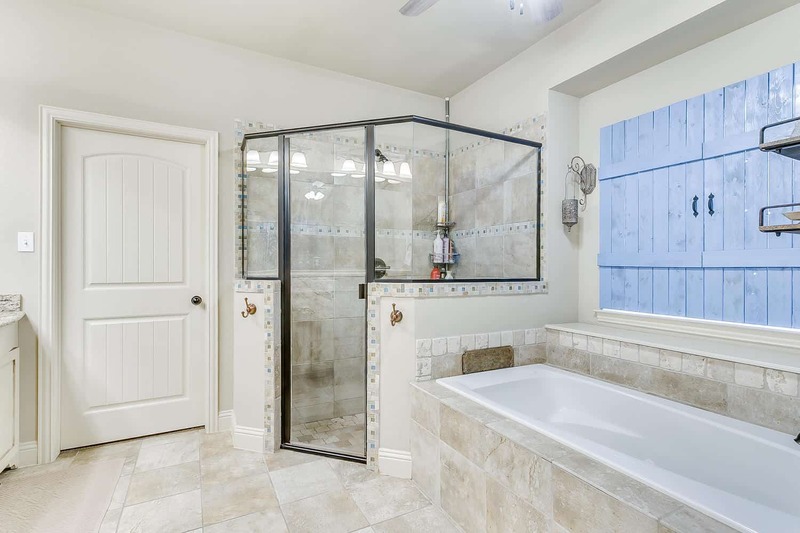 Spa-like master bathroom in it’s own private suite of the home.An additional room at the front door entrance can be used as an office or additional bedroom. 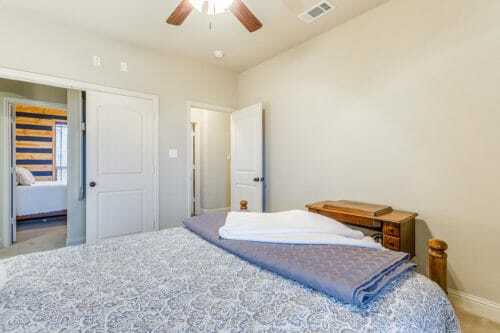 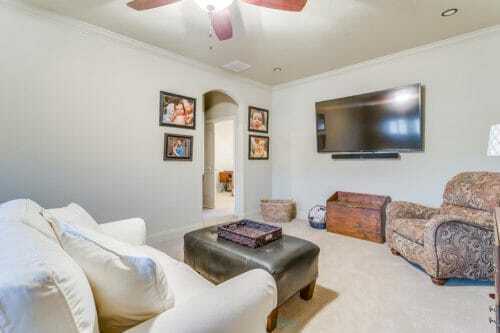 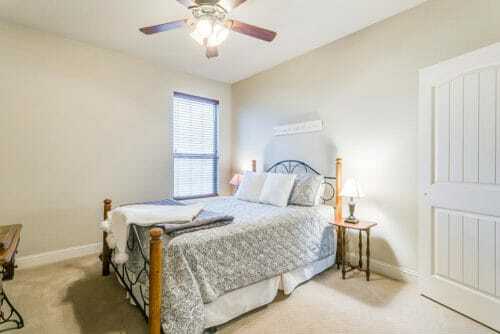 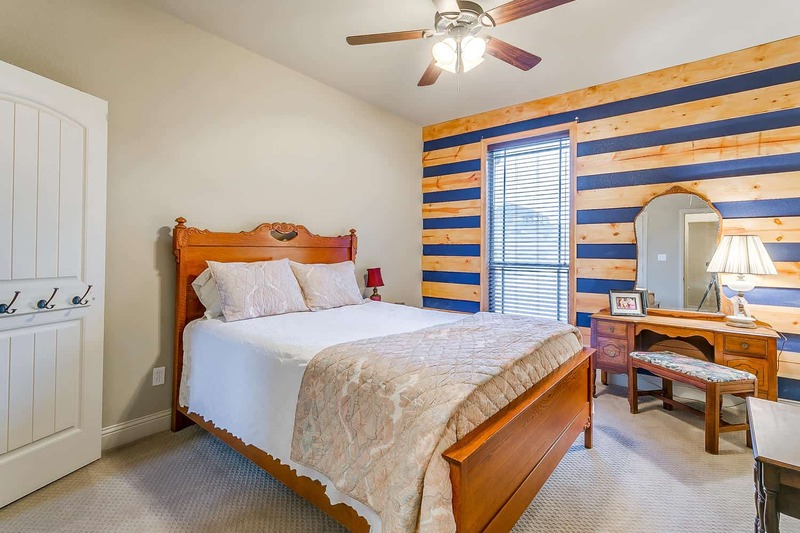 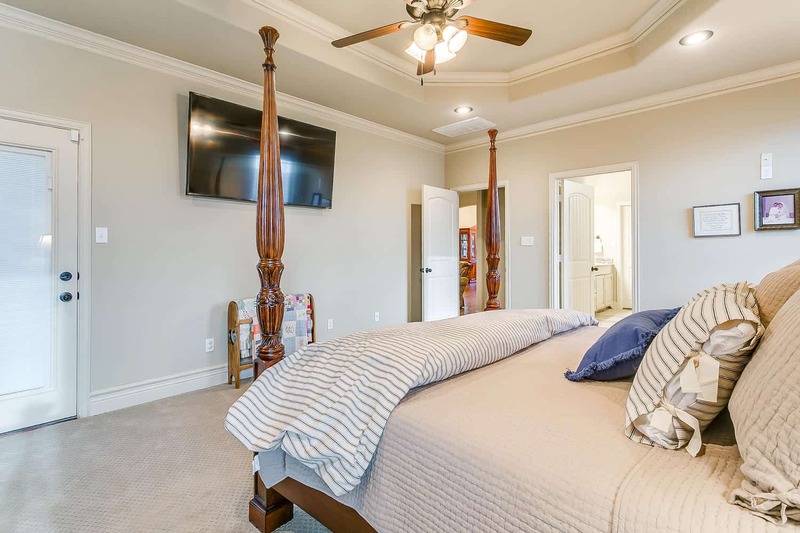 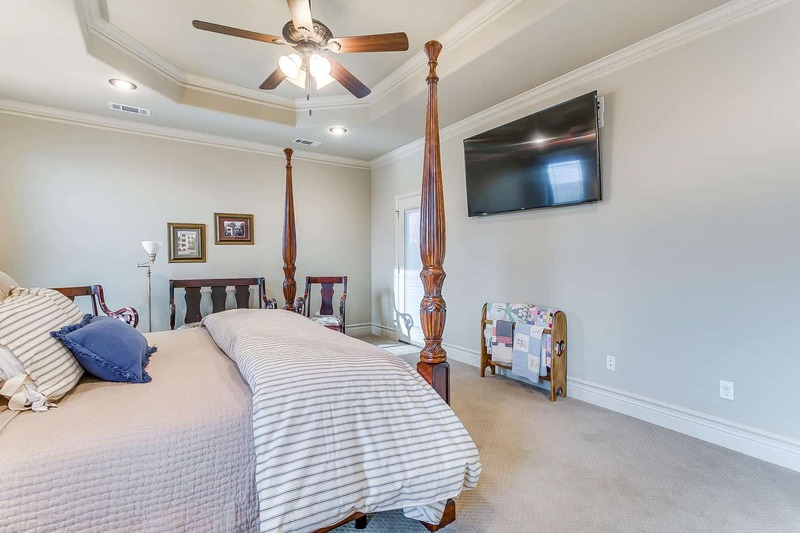 Additional bedrooms with game room adjacent makes for a wonderful kids space or guest area. 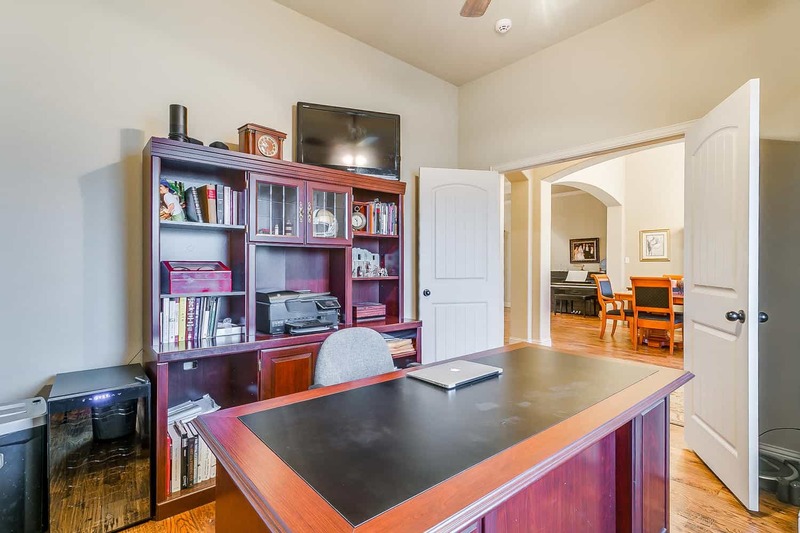 Home is wired for sound system and has amazing storage throughout. 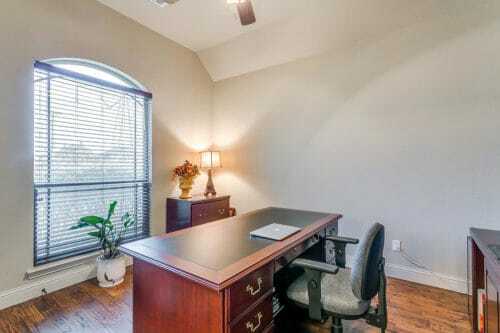 Office could be used as a 4 bedroom. 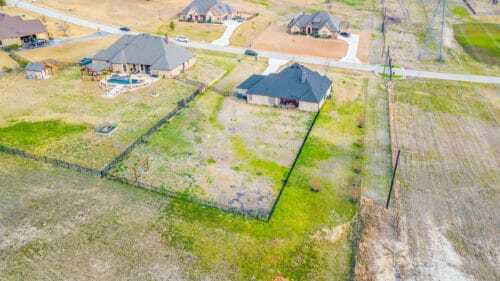 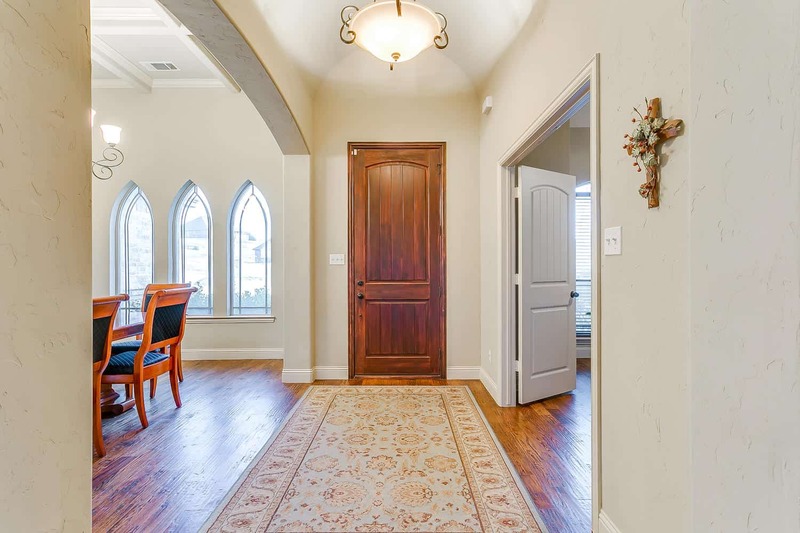 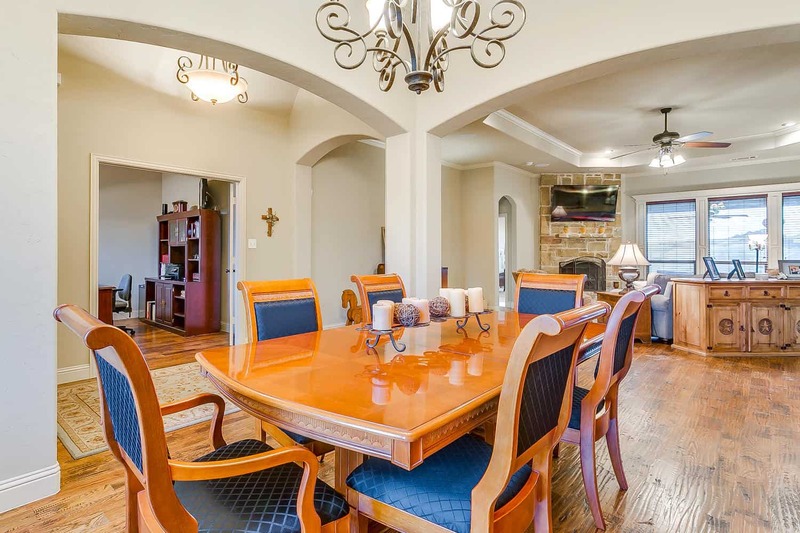 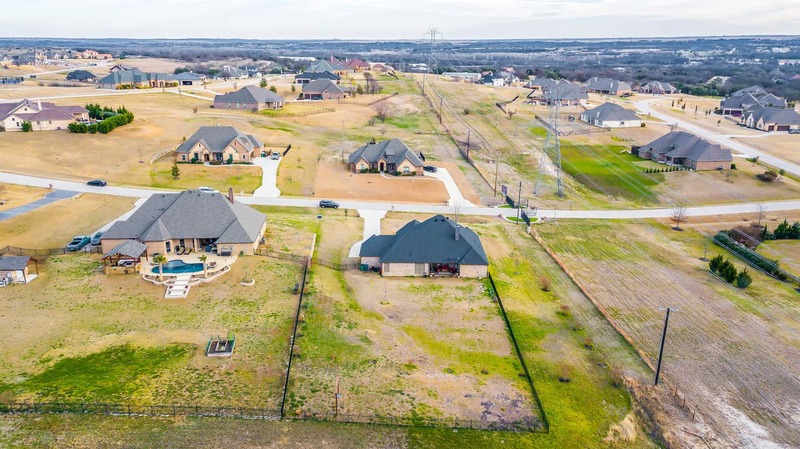 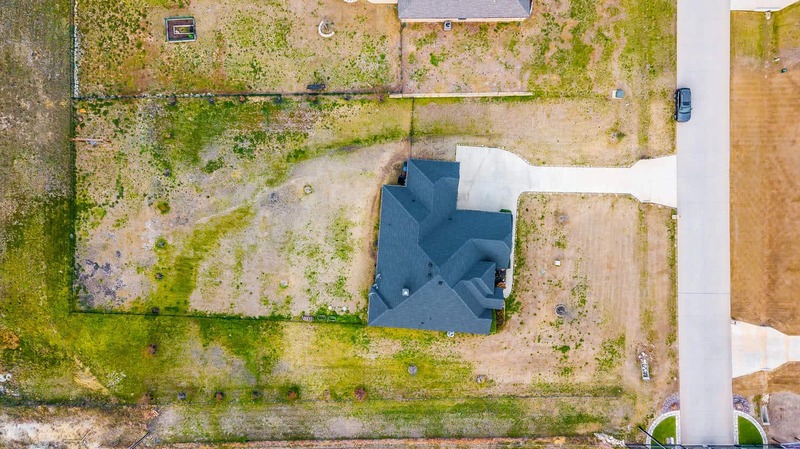 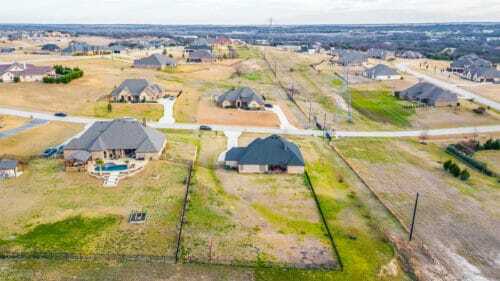 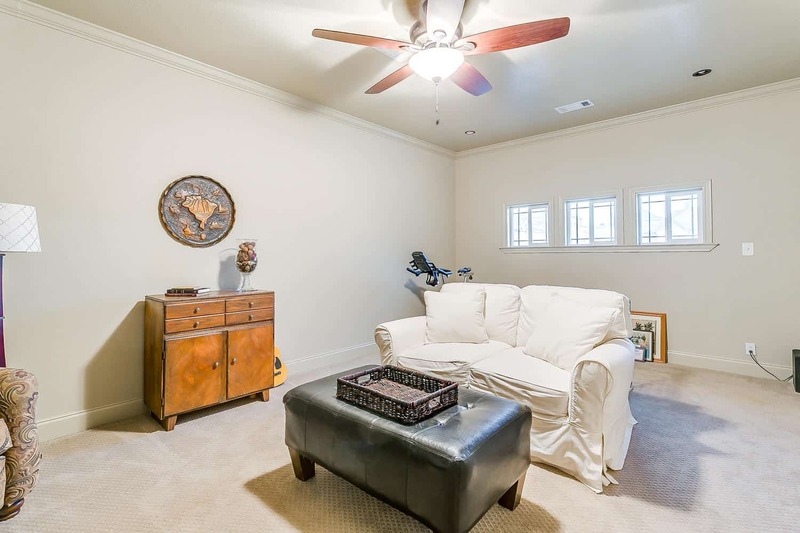 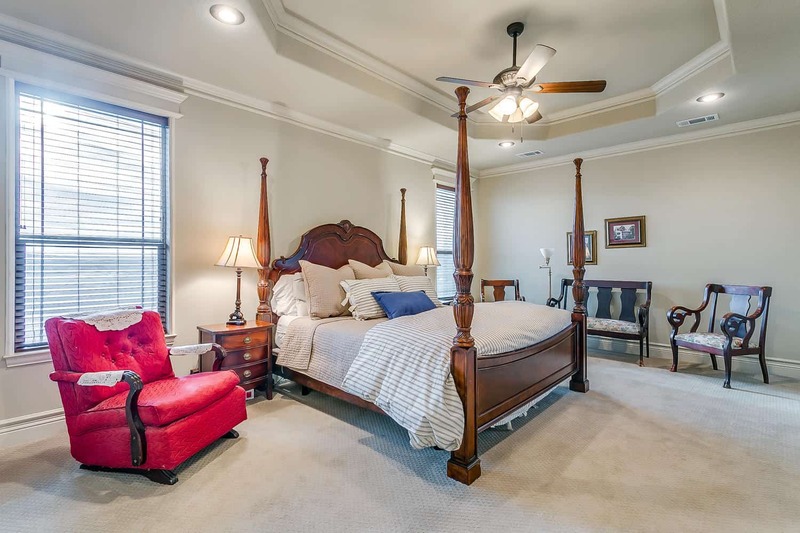 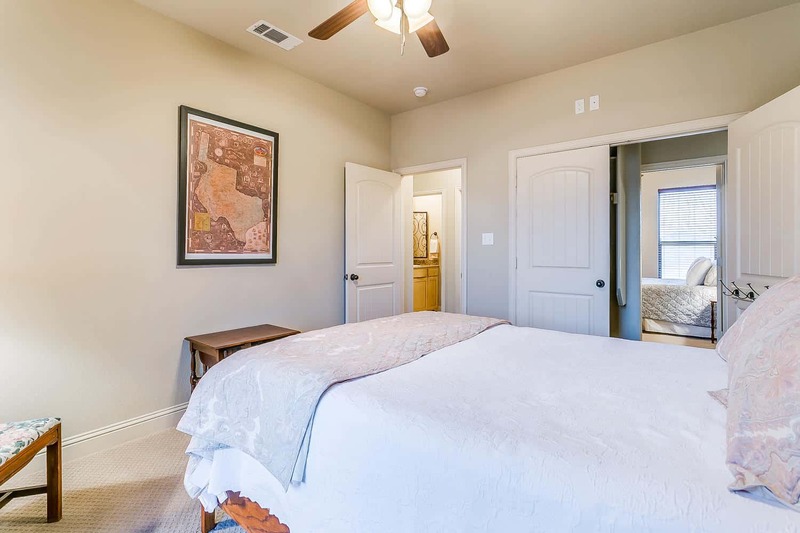 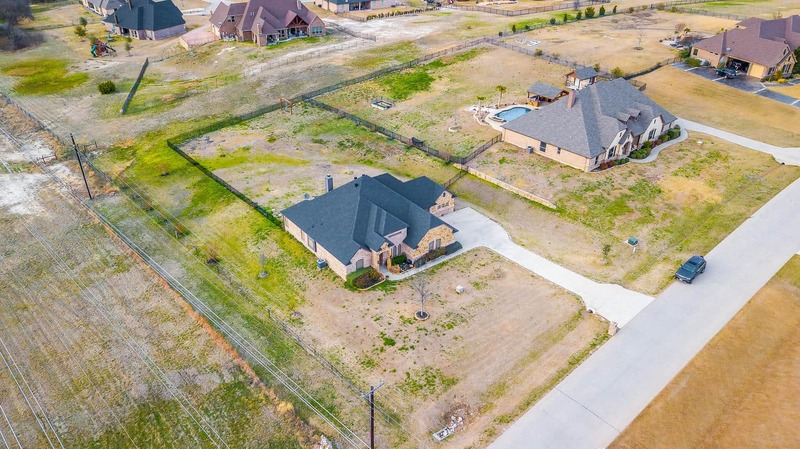 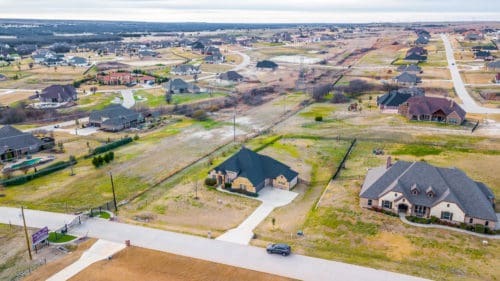 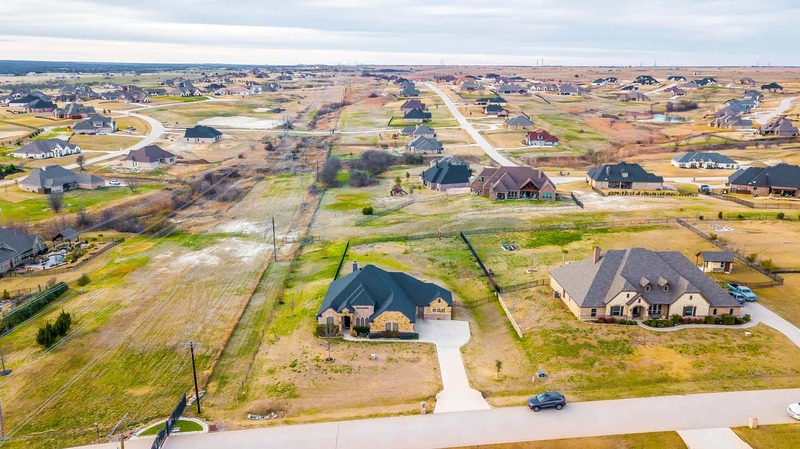 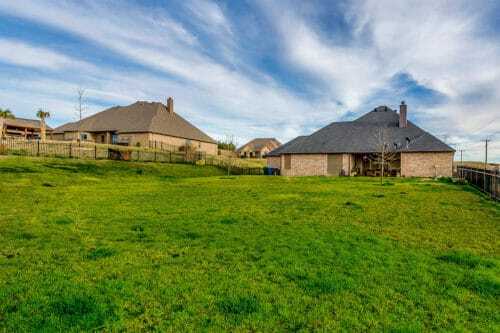 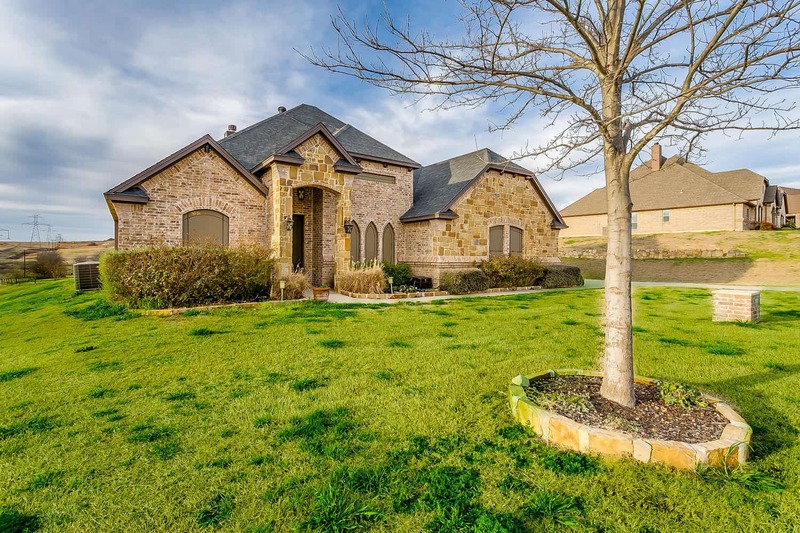 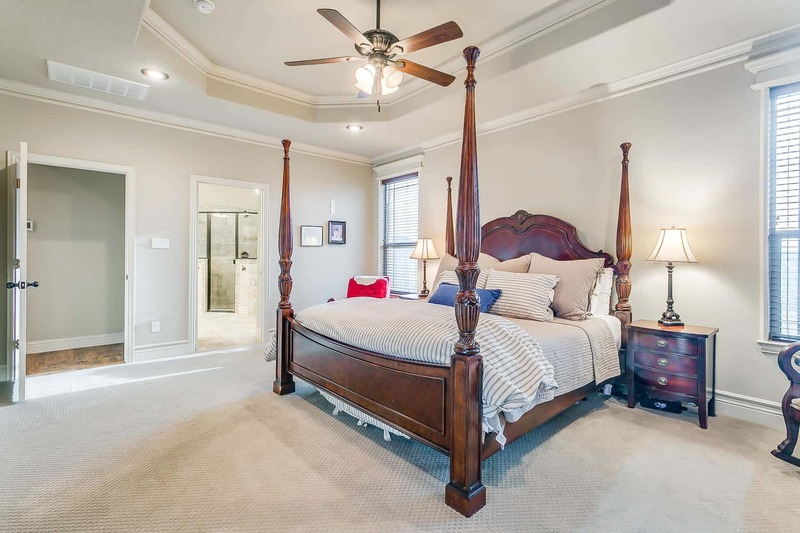 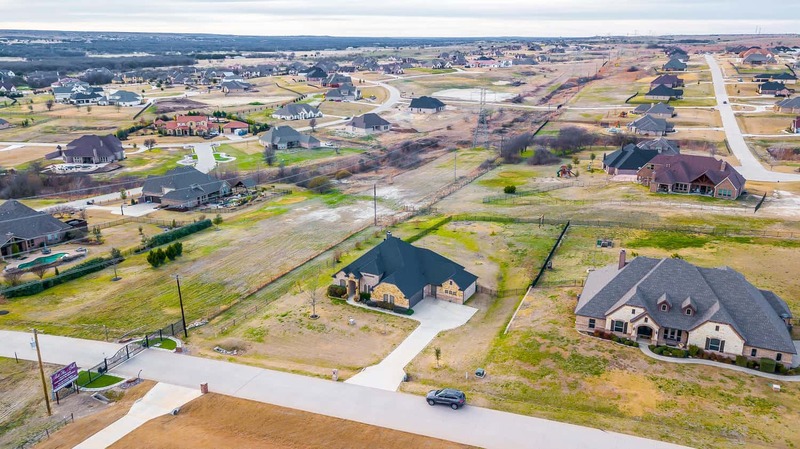 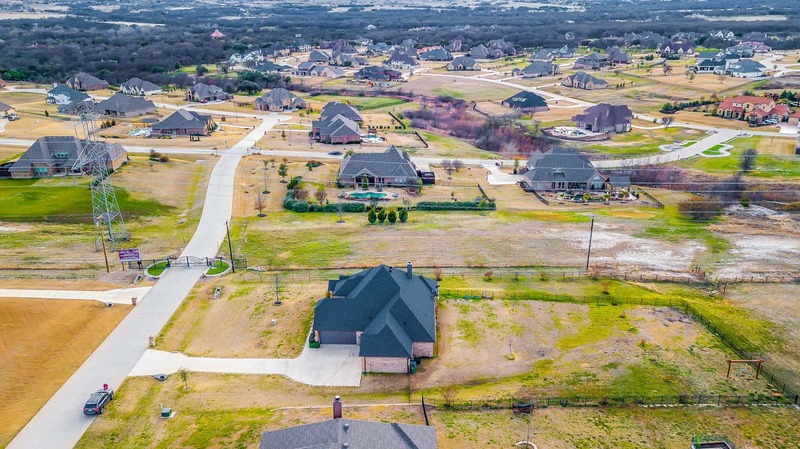 To schedule a showing, current price, and all other property details, contact listing agent Kellie Bullinger at 817-703-8209, kellie@leaguere.com.